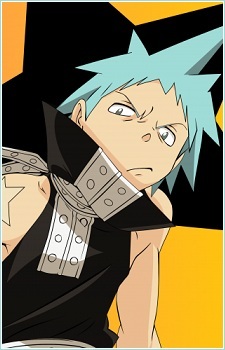 Soul Eater is an action-packed anime that maintains a light touch by breaking up heavy moments with well-timed jokes. Much of the humor in Soul Eater is derived from repetition and timing, with gags turning up when you least expect them. Here are 20 funny themes that recur throughout the series. The most exciting feature of action anime is, of course, the action, and Soul Eater is no exception. When you throw in special abilities and transforming weapons, each fight gets that much more exhilarating. Here are 10 hot battles from Soul Eater that are sure to get your heart pounding! Soul Eater is a series that follows Maka Albarn and her partner Soul Eater Evans as they grow to become better and stronger fighters. In this list, we take a look at 15 memes that have formed from their great adventures. You are sure to get a laugh from a couple of these. Soul Eater is an anime that combines both hilarious jokes and hijinks with deep existential debates about the meaning of friendship and whether or not it would be better to live a life completely free of fear. Below are just 20 representative quotes from this great anime. The plot of Soul Eater is fantastic, but one of the anime's best features is its interpretation of the weapon as a living person. Not only do weapons in Soul Eater have personalities, but also extensive and incredibly interesting backgrounds. Read on to learn more about how they work!